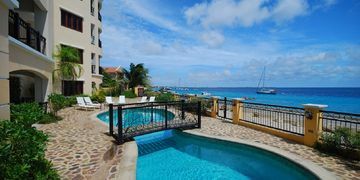 Located at top floor at Playa Lechi Residence, this penthouse offers spectacular views over the bay of Kralendijk and the Caribbean Sea. 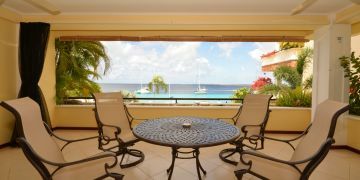 This penthouse is ideally located for a short stroll to down-town Kralendijk along seafront road. 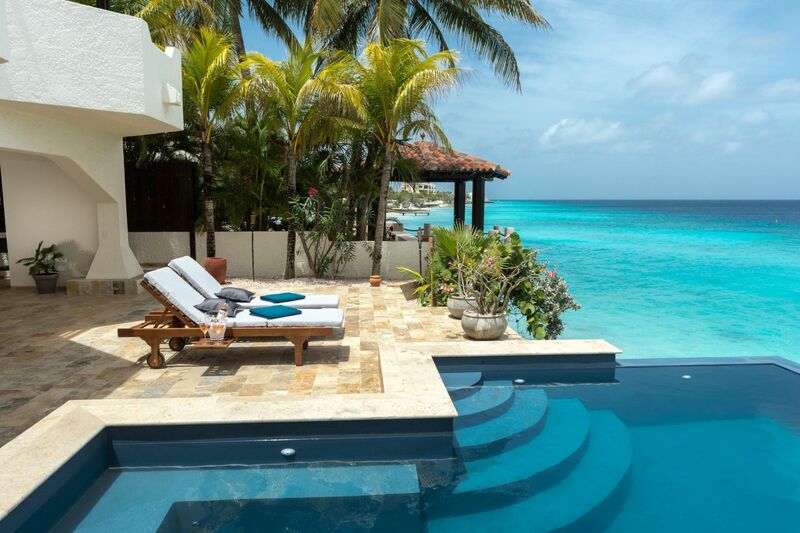 Moor your sailboat almost close to your doorstep or simply relax poolside. 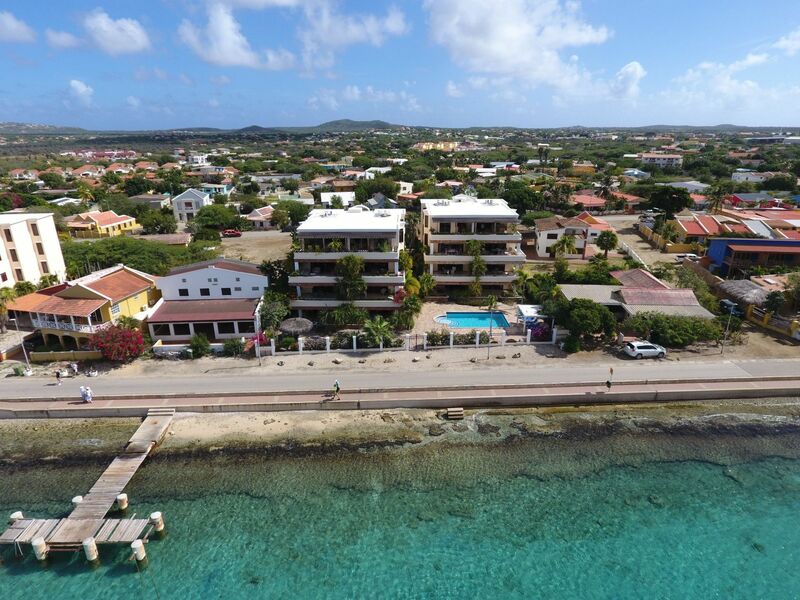 Perfect for permanent living and great for rental purposes. Penthouse is accessible using the elevator (with access key immediate entrance into penthouse) and/or stairwell. Entrance to hallway leading to two bedrooms (both with ensuite bathrooms and built-in closets) with plenty of closet space and en suite bathrooms, spacious living room and dining area with sliding doors leading to the large covered terrace with the best possible views across the bay and Klein Bonaire, master bedroom (with doors to the covered terrace) with ensuite bathroom and built-in closets. Storage closet. Penthouse comes with a separate storage at on-site parking where ample parking is available. Split unit air conditioning in all bedrooms. Registered at the Land Registry Office Kadaster, number 4-D-2567A13.